Firstly, how did you get into music? After listening to my older brother’s CD collection of artists such as Jimmy Hendrix, Radiohead, Ash and lots more, I knew that creating music was something I definitely wanted to try. So I started guitar lessons with a few different teachers; some were classical and others more folk or rock influenced, but I loved learning anything I could get my hands on. What can people expect when they see Fretted Knot perform at The Beach? We play a mixture of covers and originals, and the set can vary from John Martyn and The Beatles, to Nirvana and The White Stripes. Most of the covers will have our own twist on a song to make it a little different. For example, we play the White Stripes’ rock song Seven Nation Army in a reggae style, and Nirvana’s Heart Shaped Box is played on a lap steel guitar, which gives it a slight country and folky feel. How did you and Buster meet and why do you think you work so well together as a duo? We met through a mutual friend when Mark moved to Bude and we work very well together, but we couldn’t say exactly why. Maybe because we both have beards?! Who, what and where inspires you the most? The North Cornish coast is a great place to live for inspiration, not to mention the friends and family we have here. Do you prefer to write and play your own music or play covers? If it’s a cover we can relate to and put our own twist on then that’s easily as enjoyable as performing an original song, because you’ve still done something creative and made it your own. What would be your ultimate Sunday soundtrack? What’s the best and worst gig you’ve ever done? The worst gig was at a festival where the acoustic stage was next to a fairground waltzer playing very loud Techno, and the best gig was a showcase event at Ronnie Scotts in London. There was an awesome crowd and it’s a great venue. Master Blaster by Stevie Wonder. It’s got great lyrics that are still very relevant today. What’s your opinion on the music scene in Cornwall? There’s some excellent festivals and venues in Cornwall, but it would also be great to see more showcase events for local singer-songwriters and bands. 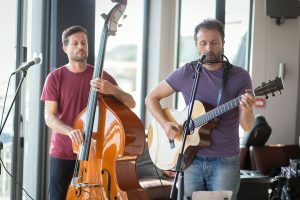 We have live music in our bar from Fretted Knot and James Dixon on alternating Sundays from 4pm. Call 01288 389800 for confirmation or to book a table. 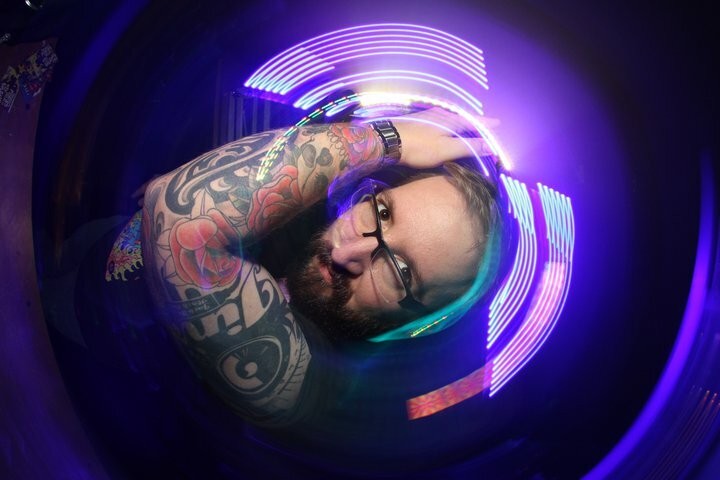 Bringing great vibes and even better music, we can’t help but get excited when we know DJ Jinx will be in the bar, providing us with his signature blend of house, funk and soul, supplying guests and locals many evenings of fun. 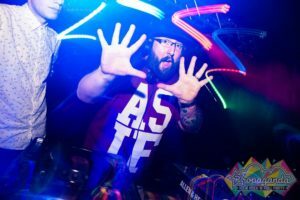 The man behind the decks had a few minutes in his busy schedule to answer some questions for us, as well as recommend some great tunes to kick start any party. WHERE DID YOU GROW UP AND HOW DID YOU GET INTO DJ’ING? I grew up around London then studied music in Birmingham, two hives of activity and music. I found myself wanting to DJ like so many others after being inspired by watching incredible talent and thinking to myself ‘I want to be up there doing that’. I bought myself two turntables and a mixer and started gathering music together to try and find a sound I loved. Starting off small, I approached a local bar and asked if I could set up one night and play for free. The bar was just down the road from the famous Gatecrasher nightclub, and I managed to gain experience, skills and respect whilst working my way through venues until I finally ended up as a resident at Gatecrasher, and many others years later. I have my signature sound of funk, soul and house music and I can’t wait to bring this to the Beach at Bude. WHAT AND WHO ARE YOUR BIGGEST INFLUENCES? My biggest influences are the pioneering DJ’s and producers who shape and form music instead of just copying others. Classic DJ’s such as GrandMaster Flash, MixMaster Mike and the new wave of talent such as JFB and DJ Yoda. Producers such as Sasha, A Skillz, Dj Format and Aphex Twin are also really influential. WHICH TEN TRACKS WOULD YOU CHOOSE FOR THE ULTIMATE PARTY PLAYLIST? For sure 1990. It was a fantastic year for so many genres of music. One of the pinnacle years for the Hacienda nightclub in Manchester and the dance music scene in London was really exploding. So many producers we now call legends were working their way through the ranks and new music was coming out thick and fast during that time. WORST: I toured once with Calvin Harris as the support DJ and all I ever got were requests for his tracks, which of course I couldn’t play. Plus Greg James from BBC Radio One was on the tour and every night he told the crowd I was Chris Moyles, so people kept bugging me. In the end I gave in and just started signing autographs. You can keep your famous. BEST: I’ve been lucky enough to have had the opportunity to play some classic Ibiza clubs and let loose at some incredible festivals but a couple of years ago I got to DJ for Public Enemy after they played an incredible live set at NASS festival, and whilst I could not have been more nervous to DJ for such pioneers, it was such an honour. To find out when DJ Jinx will be getting the party started in our bar, keep up to date with our Twitter, Facebook and Instagram.